In life we encounter smells and visuals that automatically take us back to a time; a campfire, a family member, a favorite food. It is refreshing as a flashback, and an important reminder of what truly matters. Like lighting a smoke, or taking a pull. I feel music is the same. As in love infatuation is the feeling of love, and love is the feeling of infatuation. I found that love again in a song. This song inspired me to write about music a bit, especially when I feel that life has taken hold and there is nothing to do but take it in. When other music seems unimpressive, when music seems as trivial to write about as ideas, as everyone has an opinion. As we all have our own ideas. I hope this song inspires the love within us all. We sat bedside and she played what she told me would change my mind. I hadn’t heard of Alt-J and I was astonished. I still don’t know much about Alt-J and I have heard his CD 4 or 5 times over. I was blown away. I guess that is what smoking pot and discussing topics on someone’s bed in their parent’s house affords. More intellect than we could forget, I took this song with me. I must have asked her who she was playing ten times before I finally remembered. The genre of occupation which lead me to this situation was in the food industry of Minneapolis. I sat splayed in a bed with an intelligent girl listening to what I feel is innovative and incredibly catchy; I relate the album to having a hint of Simon and Garfunkel with Andrew Bird and overdubbing styles of Queen. She said: We seldom appreciate the techniques now, she discusses. Do you know how hard it was to do this in the past? They almost wore through tapes creating masterpieces which we listen to. She said this all with so much excitement. I acknowledged and pay penance, I knew this but wanted to effectively show her it struck a cord. Her taste in music was as good as nothing a few weeks back and now I know its importance, it is stuck in my head. It is not as important to find and possess a thing, as it is to share and hold it for others to see, take in, and understand. Or maybe just to investigate and discard. The simple beauty of music is there is always a special song for a special moment; this is my last month. Weddings, first-dates, a dance. This song will be engrained into my psyche until something new changes that, or forever. Whichever it is, I would like to take a moment for music appreciation and say this song is stuck in my head and changing me for the better. I hope a song does that for you. I feel a music flashback is just as strong as a flashback brought by a smell, or a visual. Indy rock, as in Alt-J, is incredibly good at capturing me in a sense of melancholic nostalgia. Do yourself a favor and find someone who means something to you, turn this song on really loud, and embrace each other. 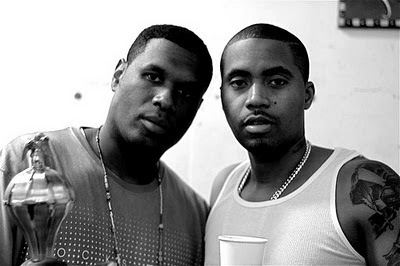 Reaction Editorial: Did Jay Electronica Ghostwrite for Nasty Nas? Obviously, I’m a little late with this post because this whole whirlwind of speculations started last week. According to most of the articles that I’ve read, Jay Electronica was supposedly responsible for ghostwriting duties on Nas’s Untitled album; even more revealing, renowned Hip-Hop journalist Dream Hampton claims that Mr. Elec-Hanukkah could be responsible for more than meets the eye – at least 6 tracks. Of course, Mr. Elec-Yarmulke came out and publicly admitted (via Twitter) that the accusations were absolutely false, and Stic Man of Dead Prez followed suit. It’s hard to be clear if the rumor is true or not, but it definitely raises some valid questions in the Hip-Hop community. 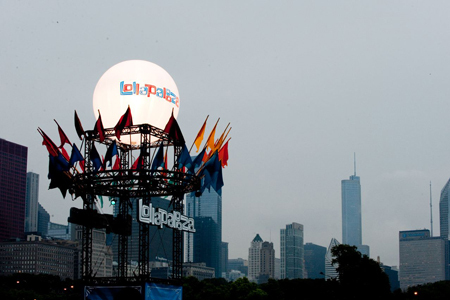 The whole Hip-Hop universe seemed to be in a daze from dismay, but I’m still not sure how I feel about the news. Believe it or not, ghostwriting is a fairly common practice in Hip-Hop, and it really shouldn’t surprise anyone. Artists like Royce Da 5’9″ and Skillz have been writing for other rappers like P-Diddy and Dr. Dre for years. It had even been rumored that Gillie Da Kid wrote the vast majority of Lil’ Wayne’s hit album, Tha Carter. With that being said, let me pose this question: Why are people making a such a big deal of this particular issue? The reasons – at least to me – are pretty clear. Rappers that use ghostwriters aren’t usually considered by many as great lyricists. 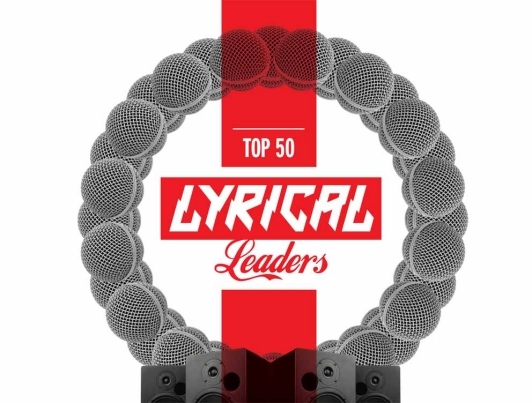 We all know that Dr. Dre, P-Diddy & Lil’ Wayne have sold millions of records worldwide, but the word “lyricist” doesn’t come to mind when thinking about their talents – performer is more applicable. If anything, ghost writers made their music more tolerable. Nas is credited for writing one of Hip-Hop’s most magnificent manifestos – Illmatic. Even though the ghostwriting accusations don’t stem from Illmatic, it rubs me the wrong way to think that Nasty Nas had another emcee write his rhymes. Imagine if the scientific community found out that someone else wrote part of Aristotle’s work: all hell would break loose, and pandemonium would ensue. Nas is considered one of the foremost founders in the East Coast Hip-Hop scene, so this rumor holds a great deal of significance. Any way that you look at it, this whole issue is just a hard thought to stomach. Nas is an artist that has withstood the test of time; even though a lot of people would consider some of his releases sub-par compared to Illmatic, he’s still considered one of the greatest lyricists of all-time – without question. If the ghostwriting rumors are true about Untitled, I can’t help but wonder if ghostwriting was prevalent in his previous releases. This whole controversy could end up becoming a slippery slope with no foreseeable end. Even though Jay Elec’s good friend FWMJ verified that Jay wrote on Untitled, I still don’t know what to believe. This is what it all boils down to in my eyes: Back in 2006, Nas was bold enough to name his album Hip Hop is Dead; if he is guilty of using ghostwritten rhymes, then he might also be guilty of killing the very art form that personified his career.